A Tribe Called Red tour remote reserves, conduct workshops for Indigenous youth, and headline music festivals around the world. 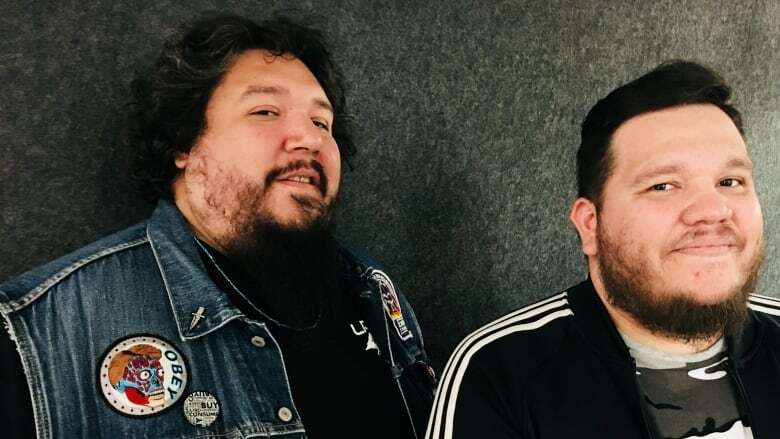 Tim '2oolman' Hill and Ehren 'Bear Witness' Thomas — known as A Tribe Called Red — are looking to share a bit of their musical insight with Indigenous youth. The 2018 Juno Award winners for Best Musical Group who perform this weekend at the Calgary Folk Music Festival, and Sunday night at the Banff Centre, spoke to The Homestretch on Monday about their innovative outreach, which included a tour of remote reservations that took them to communities in Ontario, Quebec and Manitoba to perform and speak to people who probably couldn't otherwise ever get to a Tribe Called Red gig. On Wednesday at the National Music Centre in Calgary, they're meeting with another group of young Indigenous musicians to share some trade secrets, with the hope of propelling a few more musical careers into the stratosphere —because they know know there's plenty of unknown, overlooked Indigenous musical talent out there waiting to be discovered. At one time, that's exactly what A Tribe Called Red were. "A lot of people think we came out of some kind of void — that there was this talented group that just popped out [of nowhere]," said Bear Witness. "But there's a long history of talented Indigenous groups who are unknown outside of the community. [Our goal is] finding ways that we can start closing that gap, and get proper representation and opportunities and backing to these young artists that are coming up — because they're coming up strong." At the same time, the group have evolved their sound, and even the approach to how they make music. "The music is evolving every day. It's constantly taking new turns as we push ourselves to see where we can take this sound," said Bear Witness. "It started out as a very simple thin, of just layering dubstep instrumental with a powwow loop — but what 2oolman and myself are doing today is pretty far beyond that. We're really beginning to work with powwow groups. We're really beginning to look at song structure. Asking ourselves — [up to now], we're fitting powwow to an electronic song structure. 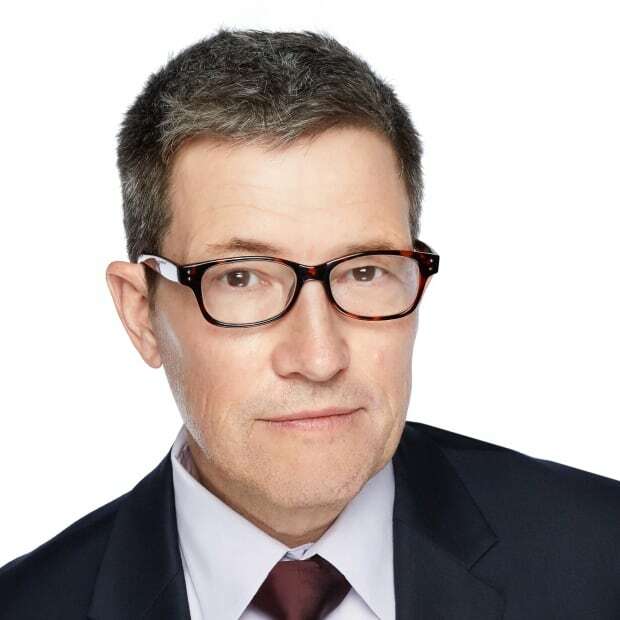 "But what would happen if we start trying to do it the other way around — start making it within an Indigenous framework that way?" Three-time Juno Award winners, including for Best Group in 2018, A Tribe Called Red have achieved international recognition with a sound that's a blend of pow wow, electronic, dubstep and even reggae and dancehall. They perform at major music festivals everywhere — Coachella, New Orleans Jazz, and Bonnaroo to name a few — but this summer, decided to do a tour that included a number of reservations located in some of the most remote corners of Canada — which was exactly the point, said Bear Witness. "They're the community we make music for. That's our community," he said. "Not everybody can get to one of our shows. The idea of us being able to go there and bring a stage — bring amazing sound and a whole crew with us, and then basically put this festival-like show on reserves, that was something that was really important to us." Among the reserves that ATCR performed at were Moose Factory, in Ontario, and another one in Manitoba. At each stop, they would also hold a workshop, where they would talk about music production and answer questions. "Usually we'd do these things for an hour, and we'd talk at them for about half an hour, and then it would loosen up and we'd start getting more and more questions — and I ended up being really surprised at a lot of the questions we were getting," Bear Witness said. "We were getting serious questions about getting into the industry, about how to produce music, and what that showed me was that there was no lack of interest, talent and ability in our communities. There's a lack of getting support to young people. "That's something we've tried to work on our own as much as we can to fix that gap. The dream is maybe one day we can make this a world thing and we travel all across the world to Indigenous communities." That Indigenous framework brings with it a certain level of responsibility the duo embraces, says 2oolman. "Being an Indigenous artist — or just being visible in general — there's a certain kind of responsibility that comes with that," he said. "With Tribe, it allows us — even though we might just make like a party song — people tend to get messages out of it, even, it turns out, when the songs have no lyrics. The first record was basically all powwow samples. There's no words in them. People drew power from that." There's also a second message — namely taking control over how Indigenous artists are represented in the media. "As artists, as people who are out there in the media, the way we present ourselves is a huge thing. When we first started getting photos taken of us in newspapers, they always wanted to take us into alleyways, photograph us in front of graffiti, or even ask us to kneel down and — what are we supposed to [also] throw up gang signs?" 2oolman said. "These things that were really not us. When we started taking that into our own hands, and putting out photos that we wanted of ourselves, we put out photos of ourselves laughing. And that one little thing is a huge change." An earlier version of this story misstated Ehren 'Bear Witness' Thomas' name.